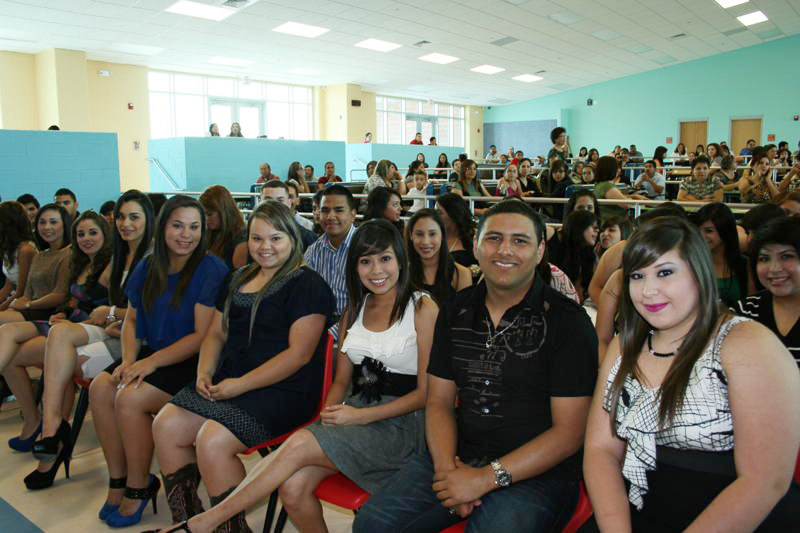 May 12th marked the date for the very first Scholarship Night held at the new high school, RGCCISD Grulla High School, which was held in their Cafetorium. The students and parents beamed with the anticipation during the presentation of awards. Mr. Rick Solis-College and Career Advisor and the counseling department staff worked diligently to secure much needed monies to aid the students in pursuing their educational goals. A College and Career Center has been established to assist students in applying for colleges,financial aid, scholarships, grants and college entrancce exams. (RGCCISD Photo).